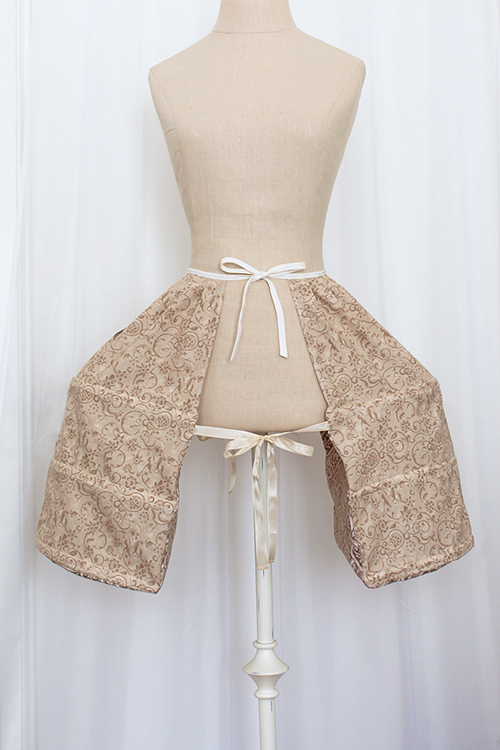 I have been working on new petticoats and panniers for the upcoming Pacific Media Expo fashion show. 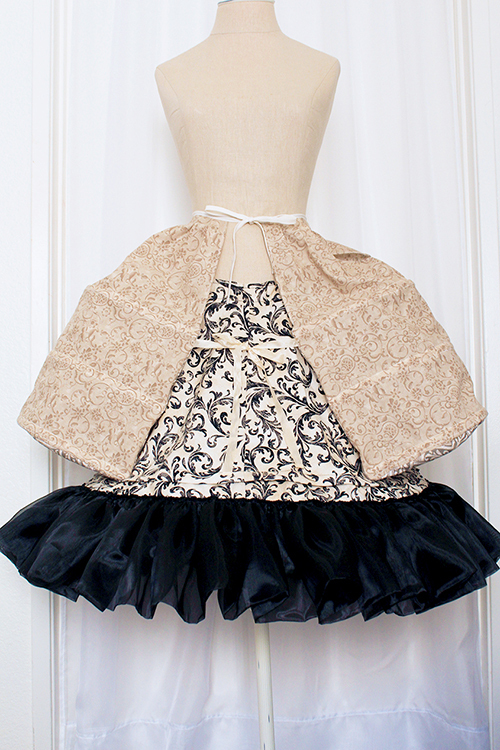 I experimented on making a pannier and hoop skirts. I looked for extra fabrics I had so I am glad I didn't really need to spend extra for these clothing pieces. I made it with my extra cotton fabric for now! Next time I will be making it from interfacing. I had enough fabric and organza to make two hoop skirts. I think this turned out rather pretty! 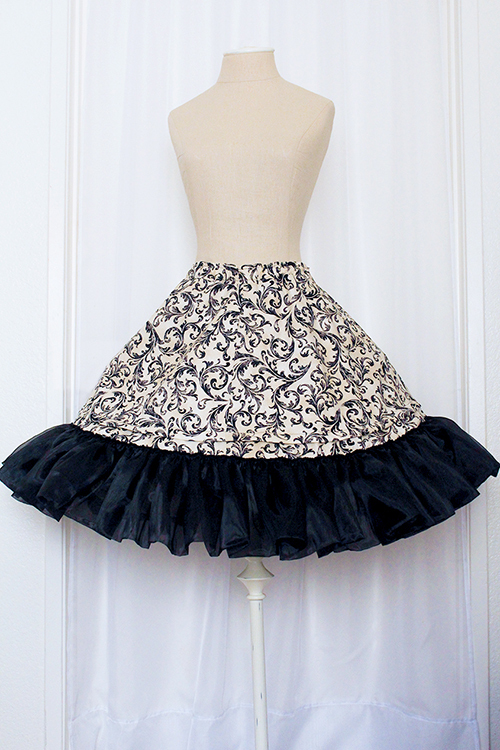 I love the outcome as I didn't need to layer on three to five petticoats to achieve this shape. 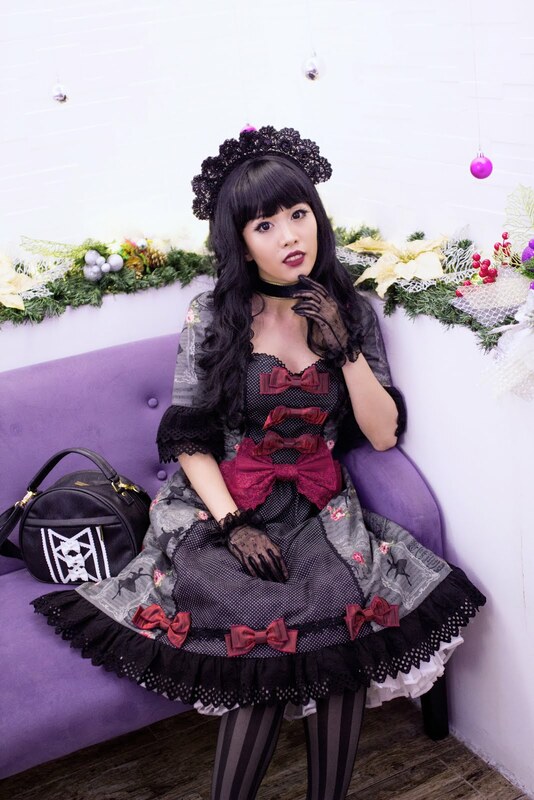 It would be perfect for dressing up outdoors especially since it's still really warm in SoCal. 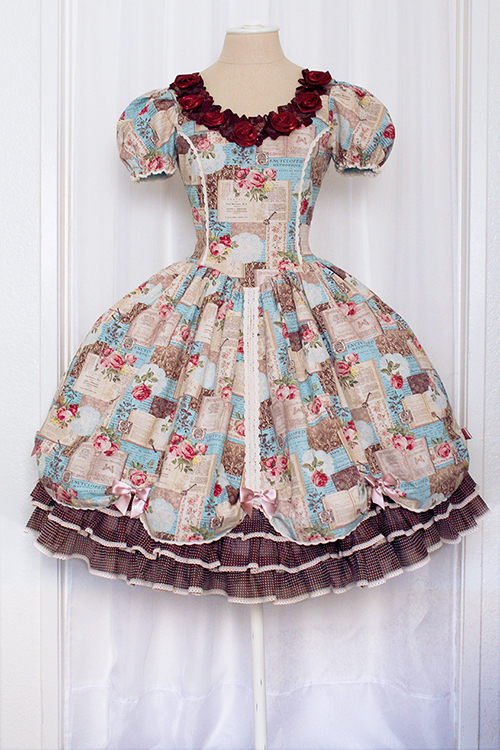 I'm thinking of making a couple more for the other dresses I have made. Hopefully I have more time!